When it comes to cannabis legalization, people talk about public consumption, regulations on driving under the influence, where it will be sold and more. In this blog, we want to share a bit more about how cannabis legalization has influenced other industries such as our own. Product designers are known to find opportunities in existing ideas, making them better, developing better ways of manufacturing or enhancing user experiences. But little did many know that the legalization of cannabis here in Canada would throw an avalanche of product opportunities our way. Opportunities for Product Designers after Cannabis Legalization. Before legalization took place, entrepreneurs and designers were researching the possible needs that would arise with this legal boom. 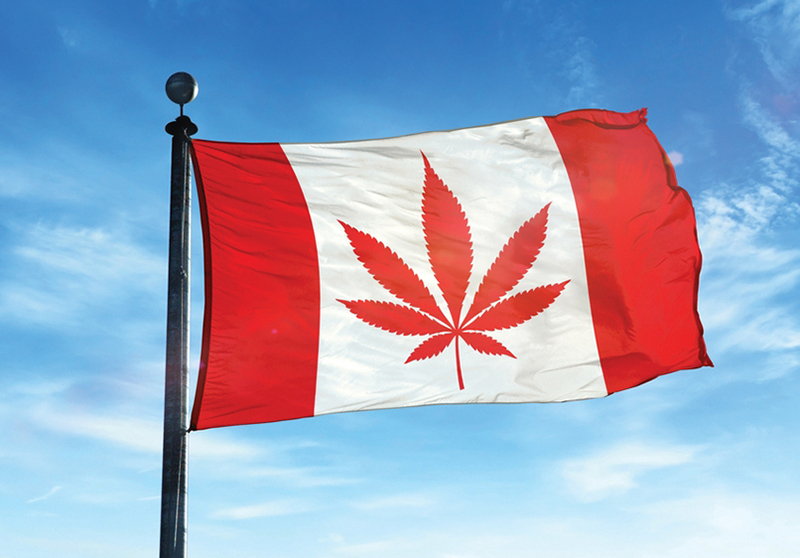 Industry-leading companies such as Canopy Growth Corporation, Aurora Cannabis Inc, Aphria Inc, CannTrust Holdings Inc, Hexo Corp, The Green Organic Dutchman Holdings and Curaleaf Holdings inc amoungst others have developed numerous product offerings. Classifications help us categorize how the possibilities grew stronger and stronger. Edibles, cannabis beverages, cannabidiol products, pesticides, and new regulations are some of the common ones. Vaporizers, new devices transferring data to our phones, growing systems, storage and consumption tracking devices, bottled and canned packaging, containers, bongs, pipes, cleaners, cosmetics (lip balms, oils) medical extracts for muscle pain, personal air filters, tools, vitamins, gummies, ice cream, cakes, sweets and so much more in the edibles field, the list goes on and on. All these new products being developed have to come in their own packaging. A bona fide anti-packaging waste movement has emerged to counter the increasingly huge cannabis waste stream that will be created by over-regulation, called the eco-awareness program. Here at Spark we wanted to showcase a few products we designed during this legalization boom so far. 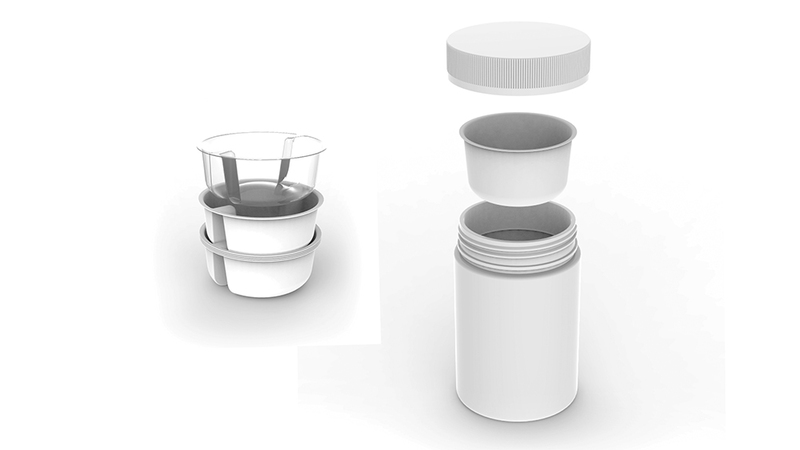 Spark was approached by a client to design a solution for a medical cannabis packaging problems. The client was packaging cannabis in a standard 500 ml medical grade drug bottle, at that time they only had a machine that hermetically sealed and installed the lids on 500 ml bottles – no other size bottles were possible in the machine. The client was faced with a problem when sending small quantity sample cannabis buds, these buds were too small for the 500 ml bottle and would often be damaged during shipping because of the large space of the bottle. 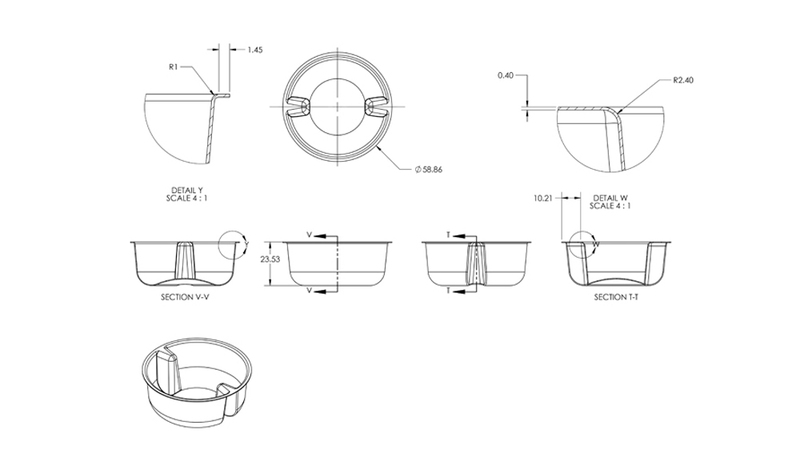 The client approached spark to come up with a solution, Sparks’ team designed a simple and cost-effective vacuum formed insert tray that could be molded in different sizes to accommodate bud size variances. The trays could be smooth or have a locking feature to orient them directionally in the bottle. The trays had a lip that allowed them to sit on the lip of the bottle and still accept the hermetical seal installed by the packaging machine on to the bottle opening. The tray was made from food grade PET material efficiently to reduce manufacturing cost. 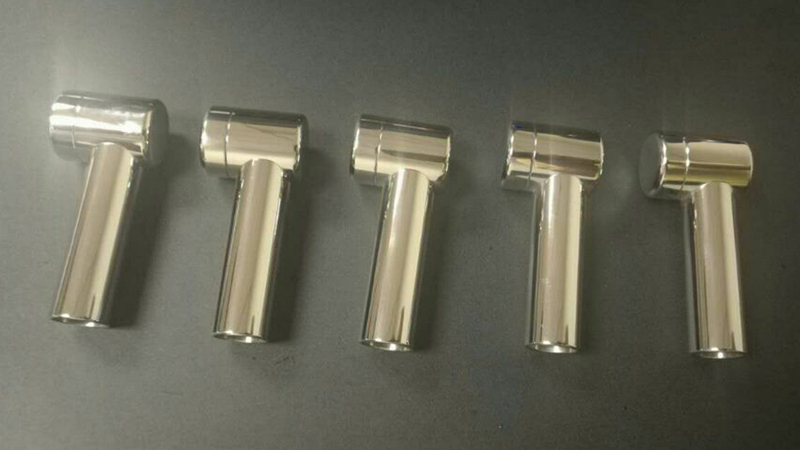 They were sourced locally to avoid shipping and duty costs and could be ordered with little lead time by our client directly from the supplier. The sourced factory was able to provide food grade certified parts and documentation to meet the stringent government regulations for packaging and distribution of medical cannabis. The smaller volume insert trays held the buds in place and solved the client’s sample shipping problem. 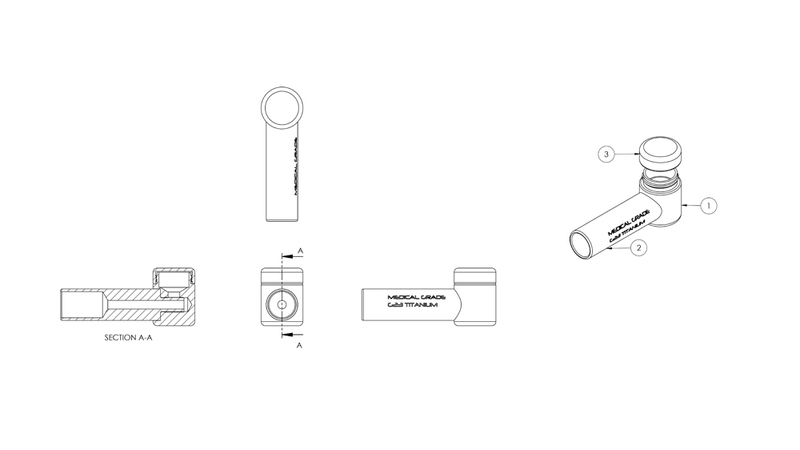 Spark’s team of engineers developed this high-end personal smoking pipe. Made from premium materials such as high-grade aluminum and titanium. The intent was to target the serious consumer of various smoking substances. This premium product is intended to last for many years longer than traditional pipes. Spark provided full Industrial and Mechanical services, including prototyping, testing and onto production estimates and support. If you have a great idea, cannabis-related or not, give us a call and we can help!